James Groom has worked for leading law firms in Australia, the United States and the United Kingdom, specialising in the areas of corporate and commercial law. He has also worked as senior corporate counsel and company secretary for the Australasian operations of one of the world’s largest financial services organisations. James' practice is extensive and covers negotiating and documenting commercial transactions of all types, corporate and financial services law, intellectual property, and corporate governance and compliance. 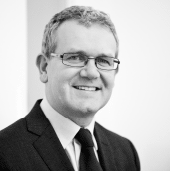 James has a particular interest in assisting start up companies with establishing appropriate systems and processes. He also likes to draw on his international experience to assist clients with international expansion. James presents frequently on corporate governance and compliance matters. He has degrees in law and arts (first class honours in political science) from the University of Tasmania. James is a Director of the firm and leads the Corporate and Commercial and Regulatory and Company Secretarial practice groups. Kerry commenced her career working in the capital markets with a leading Canadian-based financial institution prior to holding senior management roles across a range of industries including civil construction, tourism and hospitality before returning to the finance industry. Kerry has been a director and committee chairperson of the Hobart Rotary Club, a member of an internal audit committee for a state government department, a tutor at the University of Tasmania and since 2004 a member of the Liquor Licensing Board of Tasmania. 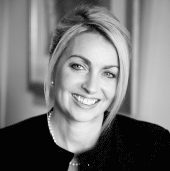 Kerry commenced practising as a Barrister and Solicitor with Groom Kennedy in 2011. She provides advice to local and interstate clients across a diverse range of corporate and commercial matters including negotiating and drafting contracts, corporate governance, company secretarial, organisational structure issues and litigious matters. Kerry enjoys using her legal, business and strong analytical expertise to provide clients with sound, practical, commercial results. Kerry has a Master of Business Administration, a Bachelor of Laws degree (first class honours) from the University of Tasmania and a Master of Taxation (MTax). Kerry is admitted to practice in Tasmania and the High Court of Australia.